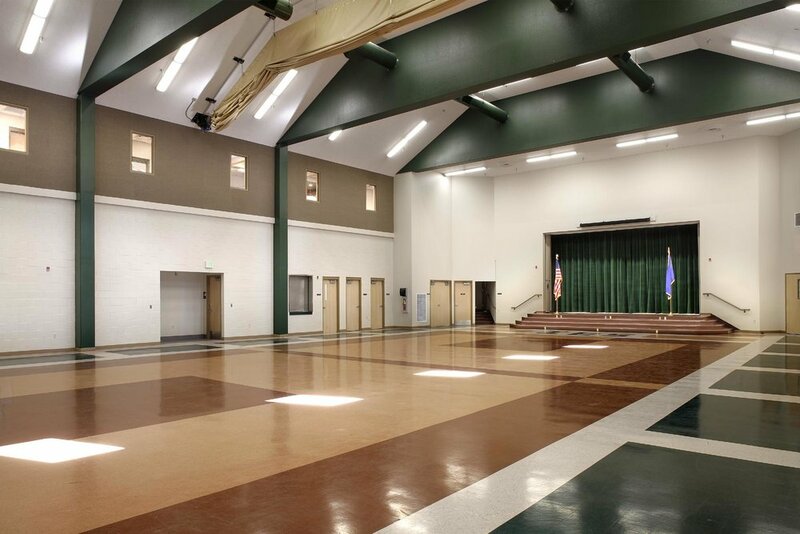 Collaborative Design Studio master planned the 94,633 sq ft elementary school in Washoe County to fit on a 10-acre, forested, alpine site at Lake Tahoe, thus creating the least environmental site impact and to allow for two construction phases. The site has a stream environment in its center creating a developable area at each side. Rusted Steel bridges cross the stream connecting the parking lot on one side and play fields to the other. The maximum number of existing trees was saved by carefully placing site improvements and by limiting site grading. The 43,000 sq. ft. phase one building houses classrooms, administrative, and multi-purpose spaces. Phase II is a 26,000 sq. ft. wing which houses eleven standard classrooms and four kindergarten classrooms. Construction was completed May 2009. This project was built on a tight schedule and within a tight budget.